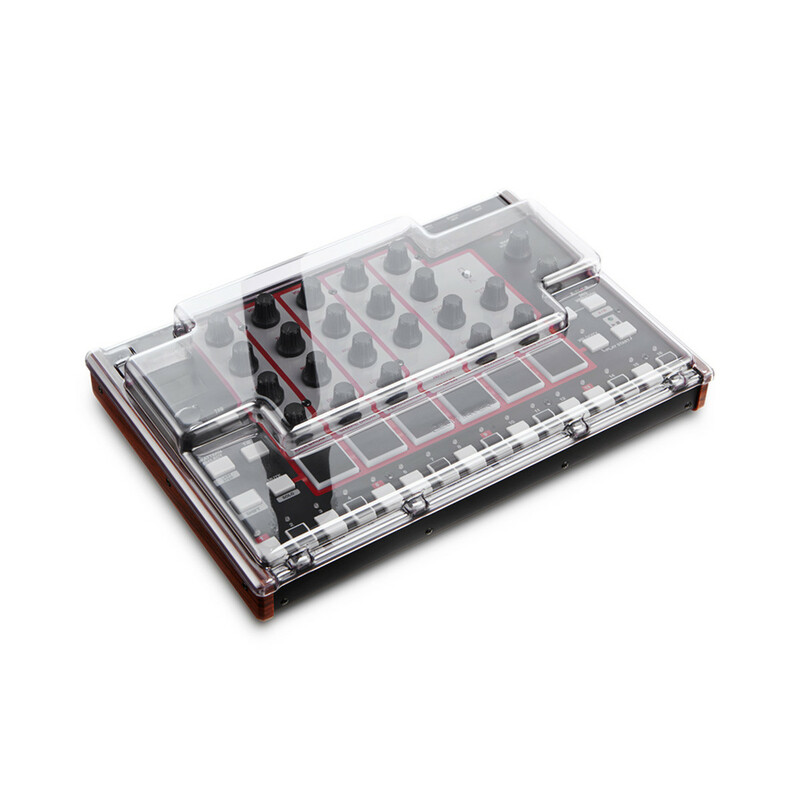 The Decksaver Rhythm Wolf Cover is custom built to snugly fit the Akai Rhythm Wolf. 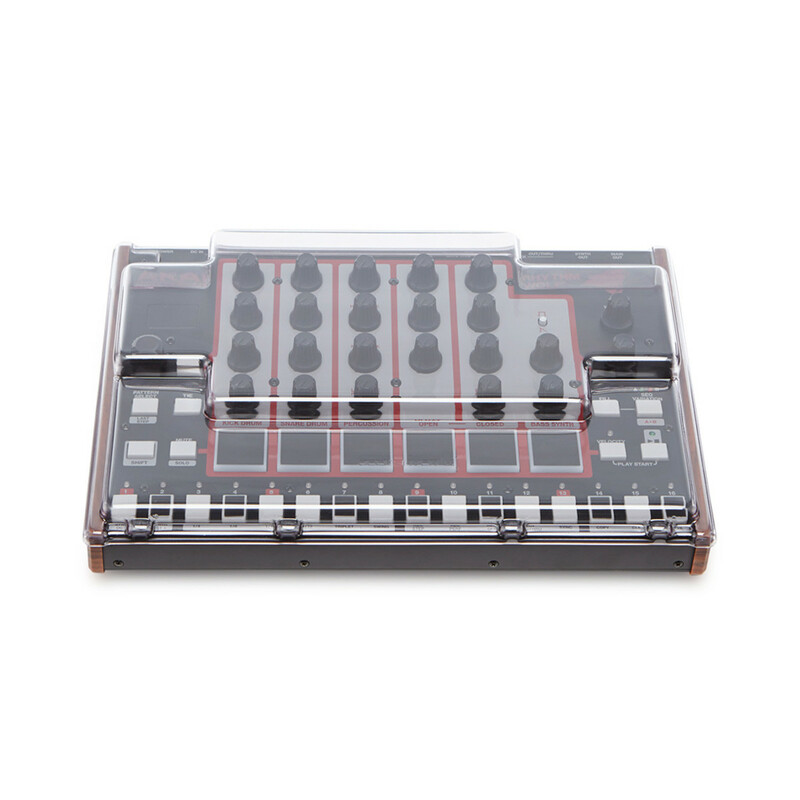 Made using an extremely durable polycarbonate, this Decksaver is the ideal choice for producers, DJs and engineers who wish to ensure that their analog synth is protected when not in use. Decksaver covers are precision trimmed, accommodating cables so that the controller is always ready for operation. Please Note: The Akai Rhythm Wolf pictured is not included. This item is a cover only. The Decksaver Rhythm Wolf Cover protects internal components from damaging elements such as smoke, dust, liquids and impact. Delicate controls are protected by the clear external shell in close proximity which allows you to transport the synth in a flight case or padded bag, this improves protection during transportation.